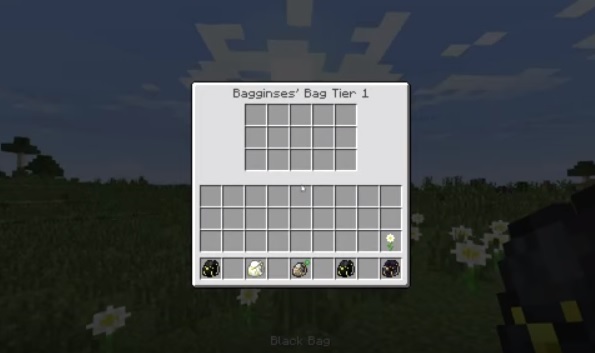 Bagginses Mod for Minecraft 1.11.2/1.10.2/1.9.4 basically adds bags into the game. It holds a significant position because it enables the player to have more inventory options. One more advantage of this modification that it comes in two tiers. Previously the bags were crafted from different recipe but now its really easy to craft the recipe and create a bag from this tool. This bags are available in variety of different colors depending how you choose the wool. 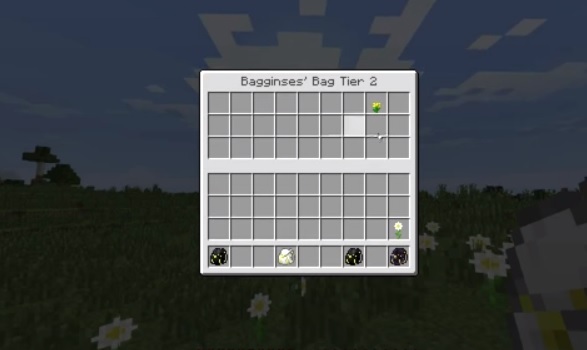 It also allows to upgrade from tier one from tier two which brings some more inventory options. 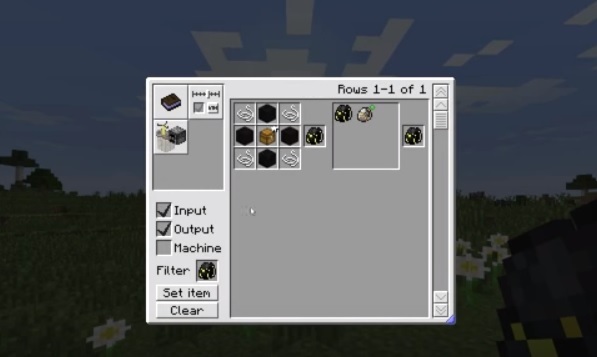 Tier one has total fifteen inventory slots and the tier two will hold twenty seven inventory slots which is remarkable. 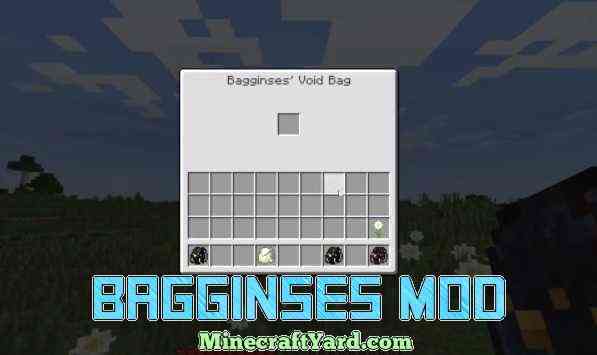 It has one more features which haven’t been seen earlier, its called void bag. As the name suggests that it will void everything which you will put inside it. It will provide a single inventory and when you will put some item it will automatically erase it forever. Note: You should not worry about the legitimacy of the version. 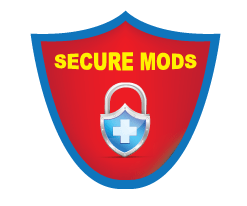 Because mods which are provided here are 100% checked and original. If you find any malicious thing with the link or some download link is broken then please report that in order to get the pleasant experience of the site. The user friendly environment is the first priority. 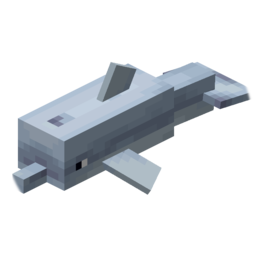 Guys have fun playing Minecraft and keep coming here.